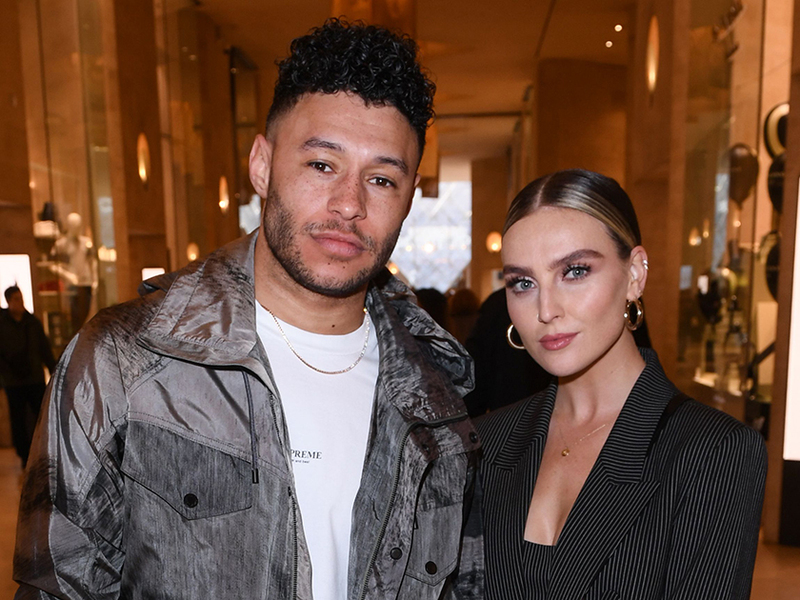 And Jesy got a surprise too..
Little Mix star Perrie Edwards received a very romantic treat from boyfriend Alex Oxlade-Chamberlain yesterday. 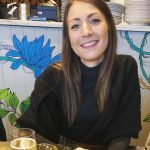 The 25-year-old showed off two bunches of stunning red, white and pink roses from her football player beau in a sweet photo on Instagram. 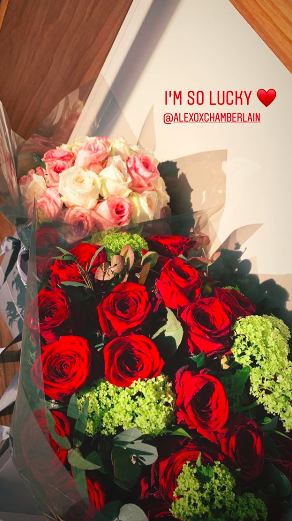 Tagging Alex, 25, in the Valentine’s Day post – which sees the flowers lined up in her hallway – Pez wrote: ‘I’m so lucky.’ AW! Perrie went public with Alex at the end of 2016 after the sportsman was spotted in the audience of her X Factor performance along with bandmates Jesy Nelson, Jade Thirlwall and Leigh-Anne Pinnock. Since then, the pair haven’t been shy of some serious social media PDA including THIS loved up shot over Christmas. Meanwhile, Pez isn’t the only Little Mix lady who was delivered an extra special treat on Valentine’s Day yesterday, as Jesy also showed off her own gift. While Perrie has been loved-up for more than two years, Jesy’s love life has been a little more complicated over the past few months. After a short fling with TOWIE star Chris Clark, the 27-year-old moved on to producer Harry James before calling time on their seven-month romance late last year. And Jesy hit the headlines again last month when she was caught snogging Love Island finalist Chris Hughes in a kebab shop in London. Although Chris, 26, hinted the pair were ‘enjoying themselves’ during an interview at the NTAs, popstar Jesy soon put an end to those rumours when she insisted they were ‘just friends’. So, you’re guess is as good as ours as to who those flowers are from!